Inspired by the hit YouTube song, the Oppa bento by Miss Tam Chiak is a hip lunch. 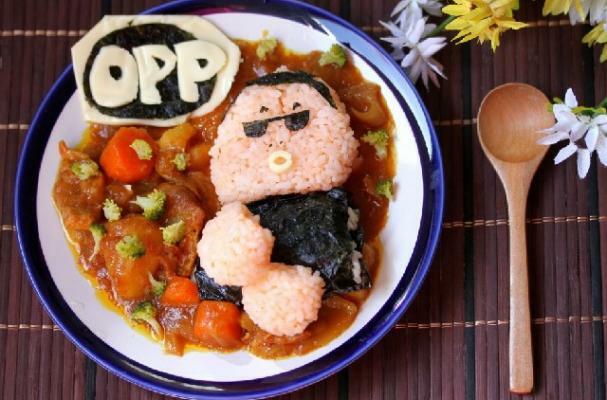 To make this tasty bento, Japanese chicken curry is topped with rice balls shaped to look like Psy, the artist. This curry recipe can also be adapted to be vegetarian by substituting the chicken with tofu or additional vegetables. Your children will be amazed at your creativity in the kitchen. For full recipe instructions, click here.